Texas WASP Honored on Veteran's Day! Today I was honored to be in the audience as 21 WASP from Texas were honored by our Texas Senator Kay Bailey Hutchison-- who was the original lead sponsor for Senate Bill S.614-- which has now been SIGNED INTO LAW, awarding ALL the WASP the Congressional Gold Medal. Each WASP was called to the stage as her name was read, along with a little more information -- I've included it here-- in honor of these wonderful ladies-- and ALL the WASP. It was a glorious day! Thank you to all of those wonderful people who came to celebrate the occasion. I will post VIDEO clips tomorrow! Avenger Field as a member of the last class. member of the last WASP class, Jerrie’s graduation ceremony was even more special than the previous graduations had been, because there were so many high ranking officials present at the graduation. They included both Jacqueline Cochran, the Director of the WASP, and General Hap Arnold, the Commanding General of the Army Air Forces, who was the principal speaker. After graduating, Jerrie was then stationed at Aloe Army Air Field in Victoria, Texas. There she was assigned to the 77th Gunnery Squadron, and flew AT-6s until the day the WASP were disbanded and she hung up her Army parachute for the last time. Eloise was born near Richardson, Texas, to a family of pilots. Eloise had no choice-- she was a country girl from Texas who was born to fly! When she had enough hours, she applied for and was accepted into the WASP training program at Avenger Field in Sweetwater, Texas. There she learned to fly the Army Air Forces military aircraft--wearing her favorite boots. After successfully finishing her seven months of training at Avenger Field, she graduated and received her orders to report to Maxwell Field in Montgomery, Alabama, which was a B-24 repair depot. While at Maxwell, Eloise flew anything the AAF would allow. While stationed at Maxwell, Eloise flew as a B-24 engineering co-pilot. Her primary flying assignment was on slow-timing missions to ‘break in’ rebuilt or new engines on the B-24s. When the WASP were disbanded, she returned to her favorite place in all the world—TEXAS! Susie was born in Markham, Texas. She was a student at the University of Texas when WWII was declared. When she learned about the experimental program to teach women to fly military aircraft, she moved to Houston and took flying lessons to acquire enough hours to enter the program. was a BT-13 engineering test pilot until the WASP were disbanded. After WWII, Susie married, had her family, and became an expert landscape designer and golfer. She now lives in Austin, TX, where she created a landscape design business called “Grannie’s Country Gardens,” specializing in Texas wildflowers, and opened her “Garden Dance Studio,” specializing in ballroom and country western dancing—all in her Austin home with a dance studio in the basement, and a spectacular view of the City of Austin and the University of Texas across Lake Travis. Betty is a native Houstonian and a graduate of the University of Houston. She learned to fly when the math teacher she was grading papers for asked her, “Would you like to be a pilot?” She immediately dropped everything and enrolled in the Civilian Pilot Training program at the U of H, took her flight training at Hobby Airport and began working to add hours to her logbook. Betty was accepted into the 4th class of WASP trainees, and reported to Avenger Field. Following her graduation in August of 1943, she was assigned to Love Field, Dallas, Texas, as a ferry pilot. Later she was transferred to Hondo Army Air Field in Hondo, Texas. Hondo was a navigation and engineering school. 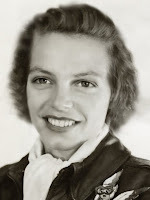 Betty’s assignment was navigational flying in C-45s to train cadet navigators. She remained at Hondo until the WASP were disbanded. Two days after the WASP were disbanded, Betty married her co-pilot. She and her husband chose Houston to start their family. Along with raising 4 children (all of whom learned to fly), Betty also taught for many years at Garden Villas Elementary School in Houston, eventually retiring from teaching in 1983. **Thanks to Betty, her brother married her WASP classmate, Barbara Willis. Frankie was born in Cranfills Gap, Texas, graduated from Providence Hospital Nursing School in Waco in 1937 and worked for five years inveterans’ hospitals in Texas and Louisiana. 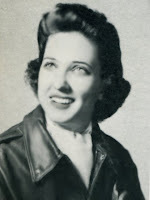 After graduation, Frankie was assigned to Greenville Army Air Base in Greenville, Mississippi, where she flew administrative and engineering test flights primarily in BT-13s and UC-78s and slow-timed repaired aircraft. After the WASP were disbanded, she joined the Army Nurse Corps and worked in the hospital at Mitchell Field, NY. 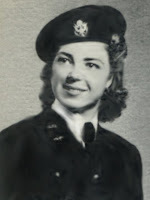 She was then transferred to Randolph Field, San Antonio, where she attended the School of Aviation Medicine and trained to become an air evacuation nurse. After WWII ended, Frankie attended SMU, worked part time as a nurse and eventually married a man she had been stationed with at Greenville. She has now come ‘full circle’ and lives near the same city where she learned to fly. Mickey was born in Tampico, Mexico, but her family moved to San Antonio when she was four. She learned to fly at Stinson Field in San Antonio and was accepted into the WASP training program in April, 1944. After she graduated, she was stationed at Napier Army Air Base in Dothan, Alabama, as an engineering test pilot, as well as an administrative pilot. One of her assignments was to fly the mail from Napier down to the cadets in gunnery school at Eglin Air Force Base in Florida. 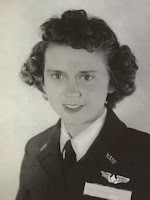 Following her service as a WASP, Eleanor worked as an aircraft accident analyst with the Office of Flying Safety Headquarters in Winston-Salem, North Carolina until she returned to Texas. She now spends much of her time as a ‘full-time’ volunteer in charge of her church’s kitchen, feeding the homeless in Victoria, Texas. Millie Inks Davidson Dalrymple was born in Llano, Texas, the daughter of Roy B. Inks, namesake of the Roy B. Inks Dam. Before America entered WWII, Millie had already graduated from the University of Texas and married. After her husband was shot down while on a mission in Europe, Millie took flying lessons at Doc Haile’s airport in Austin until she had enough hours to apply for the WASP training program. She entered training at Avenger Field and was soon appointed Flight Lieutenant, Flight 1—She was the one who shouted cadence while she and her fellow class members marched to their ground school classes and to the flight line. After graduation, Millie was assigned to Maxwell Field in Montgomery, Alabama, where she flew as a utility pilot in smaller aircraft and as a co- pilot in the B-24, primarily slow timing them after an engine had been repaired or replaced. Millie is the only WASP to be nationally ranked in the seniors division of doubles tennis. In 2003, she and her partner played on the U.S. team at the international Friendship Cup in Austria for women over 75. Rosa Lea was born in Hereford, Texas, the daughter of Walter “Pop” Fullwood, an original flying ace! Her dad started a flying club and later owned an airfield, so she grew up around airplanes of every kind. Her father taught her to fly and she soloed at age 14. Rosa Lea had her pilots’ license before she had a driver’s license . 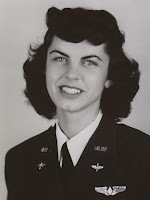 She was a member of the first class of WASP trainees to report to Avenger Field, Sweetwater, Texas and not to Houston. After graduation, Rosa Lea was stationed with the 5th Ferrying Group, right here at Love Field, Dallas. She ferried all types of trainer type aircraft, as well as the twin engine UC-78, the A-24, the PQ-8. She also flew as co-pilot on the B-17. Rosa Lea graduated from the Army Air Force Pursuit School in Harlingen, qualifying her to ferry pursuit aircraft, the P-39, P-40, P-47, P-51 and the P-63. After the WASP were disbanded, she continued to fly and be involved in the aviation industry. She also became a champion—Ballroom, Western and Square Dancer. Madelyn was born in Red Oak, Iowa, but it was in Nebraska, when she was nine, her dad took her to the local airport to watch an air show. She persuaded him to let her ‘go for a ride’. She never lost her desire to one day fly airplanes. She graduated from Red Oak Junior College, but the following year she re-enrolled in the college for one class so she would be eligible to take the Civilian Pilot Training course, which would only accept one girl in each class of 10. She was that girl. When she learned about the flight training school at Avenger Field for qualified women pilots, she applied and was accepted. After 7 months of training, she graduated and was assigned to Las Vegas Army Air Field. 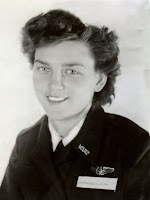 She completed instrument school and was then assigned as an instrument instructor for male officer pilots in the AT-6. She also flew AT-10s on administrative flights. 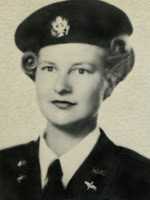 Madelyn went on temporary duty to Orlando Florida, where she completed Officer’s Candidate School, because it was expected that the WASP would soon become officers in the Army Air Forces. Of course, it never happened. While stationed in Las Vegas, Madelyn met and married a B-17 pilot. After WWII ended, they moved back to Iowa. She now lives in Texas. m, and she became the one girl allowed in the class of ten students. After receiving her private pilot’s license, Maxine was accepted into the flying training program for women pilots at Avenger Field. She entered training, completed the program, graduated and became a WASP. She was assigned as a navigational pilot at Hondo Army Air Field, Texas, flying C-45s to train cadet navigators. When the WASP were disbanded, she got a job as company pilot for two companies. She soon married, but continued to fly for three years after marriage. When two of her daughters were in high school, they decided to learn to fly. Maxine secretly began taking flying lessons again and soloed before either of them. years, with Maxine as the pilot. President Carter appointed her to the USO World Board, where she served for nine years. In 2004 one of the Texas CAF Squadrons changed its name to the ‘Maxine Flournoy Gulf Coast Squadron’ in her honor. Lois was born in Reno, Nevada, and received aBA degree at the University of Nevada. In 1939, her brother encouraged her to learn to fly. When the experimental flying training program for female pilots began, she received a telegram from Jacqueline Cochran and reported to the Houston Municipal Airport for the 3rd class to enter the program. 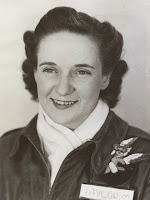 After graduating, Lois was stationed at Camp Davis, North Carolina as a tow target pilot for anti-aircraft gunnery practice, and was then transferred to Liberty Field, Georgia, to fly radio controlled targets and drones. A-25, and AT-11, as a tow-target pilot, helping to train the men on the ground. After the WASP were disbanded, Lois remained in El Paso, married, had her family and returned to teaching. For over 30 years, she served as a band and orchestra director in the El Paso public school system. Ann was born in Indianapolis, Indiana, where she learned to fly as part of the Civilian Pilot Training course she took at Butler University. She earned her pilot’s license and enough hours to enter the WASP training program in class 43-7. After graduation, Ann was temporarily stationed at Mather Army Air Base, California for B-25 transition training. Upon successfully completing the training, she was transferred to March Army Air Base, California, where she flew tow target missions until the WASP were disbanded. Ann currently lives near Pharr, Texas, where she and her husband own and operate an RV park for half of the year. The other half--- they live in Arkansas. Georgia, where she graduated with her private pilot’s license and a degree in journalism. 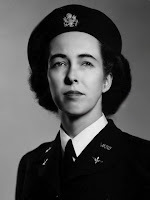 Marion was a member of the fifth class of WASP. 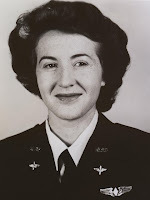 After graduating at Avenger Field, she was stationed at Love Field, right here in Dallas, Texas , as a ferry pilot with the 5th Ferrying Group. She ferried both single and twin engine training aircraft from the aircraft factories to air bases all over America. After the WASP were deactivated, Marion married a Marine pilot from her home town, and, from that moment on, her husband and, later, her children, became the primary focus of her life. Marion’s career as a writer began with articles that have been featured in ‘Good Housekeeping, McCalls and Guideposts, and a best selling cookbook for College Kids. In 1996, ‘WINNING MY WINGS,’ which chronicles Marion’s journey into the WASP and her inspirational life’s testimony, was originally published. Now in it’s THIRD printing, it remains one of the most popular books on the WASP. Dorothy was born in Norfolk, Virginia, but she was working in Washington DC when she heard about the WASP program. She borrowed two hundred dollars, and spent the summer earning her flying hours so she could apply for the program. When she was old enough, she was accepted and entered training at Avenger Field in 1944. After successfully completing the program, she graduated and was assigned to the Gunnery Squadron at Moore Army Air Base, in Mission, Texas. She flew AT-6s and towed targets to train the aviation cadets to become proficient combat pilots. She also flew some administrative flights, as well as ferried some aircraft to other bases. 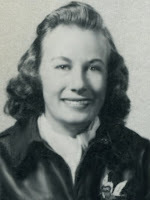 After the WASP were disbanded, Dorothy married an Air Force pilot and became the typical Air Force wife—packing and unpacking, taking the children out of one school and putting them into another, as she and her kiddos would follow her husband when he would be transferred to different air bases, even to one in the Phillippines. Dorothy now lives in San Antonio and is still surrounded by the military! Born in La Feria, Texas near the grapefruit and orange orchards of South Texas, and about 10 miles from the Rio Grande River, Muriel could ride a horse almost as soon as she could walk. She was a sophomore at Sul Ross College in Alpine when Pearl Harbor was attacked, and the next year, she rode her bike out to the airport to take flying lessons so that she could apply to enter WASP training. Muriel entered the Army Air Forces flight training program at Sweetwater in December 1943, one of the coldest winters in West Texas history. After graduation, she was stationed at Eagle Pass Army Air Base, an advanced gunnery school, where she flew AT-6 tow target missions for ground and aerial gunnery practice, training aviation cadets for combat, until the WASP program was deactivated. Muriel and her husband, a former Army Air Force Flight Surgeon, raised their family in La Feria, where today, she does what she loves most—she raises horses and enjoys her family. Deanie was born in DeFuniak Springs, Florida, in the same vicinity of West Florida where Jacqueline Cochran was born, but she grew up in Avon Park. She learned to fly before the WASP program was initiated, but on her solo flight in a Piper Cub, the stick came out and she had to climb over into the front seat and fly with that stick to keep from crashing. Determined to continue flying, she soon joined and flew with the Civil Air Patrol. Deanie entered the Army Air Forces flying training program for women pilots at Avenger Field. 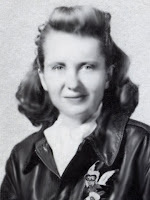 After graduating, she was stationed at Greenville Army Air Base, Mississippi as an engineering test pilot, but she was soon transferred to Tyndall Army Air Base, Florida, for B-26 training. After completing the training, she flew the B-26 Martin Marauder (the Widowmaker) on air-to-air tow target missions out over the Gulf to train gunners, firing live ammunition, for combat. Betty Jo grew up in Texas with a Dad who would read her newspaper articles about Lindberg and drive the family to places where aviators were performing in ‘barnstorming’ shows. She took her first ride in a Ford tri-motor at an air show, and she knew that was what she wanted to do—BE THE PILOT! After WWII was declared, she took the money she was making at Marshall Fields and spent it on flying lessons. While working for Douglas Aircraft, she learned about the WASP training program, applied, and was accepted. After graduating, she was stationed at Columbus Army Air Field, Miss, flying AT-10s and BT-13s as an engineering test pilot, ferry pilot and administrative pilot. After the WASP were disbanded, she returned to work at Douglas, a C-54 plant. After she married, Betty Jo owned and flew many different types of airplanes as a part of her husband’s business, but after he retired, they sold all of their airplanes. She was a docent at an aircraft museum in Tucson for many years, and has continued to be involved with aviation as an active member of the Commemorative Air Force. A true “WEST TEXAS GIRL,” Mary Alice was born in Leuders, Tx. just a couple blocks off Main Street. MaryAlice proudly served her country, first as a WASP trainee at Avenger Field and then as an AT-6 tow target pilot, ferry pilot and administrative pilot at Moore Army Air Base in Mission, Texas. When the WASP were disbanded, she returned to the career she loved: ‘acting’ and teaching others to ‘act’. Mary Alice attended SMU and graduated from Texas State College for Women, but she honed her talents for acting at the American Academy of Dramatic Arts in New York. She was a gifted actress and could have pursued a career in Los Angeles, but she felt that young people, no matter how small their school or how small their town, should be exposed to the same dramatic training as others. So, she came back home to Leuders and gave them that opportunity. Her drama students, from her years of teaching ‘Theatre’ in the local high school, can always find her there—ready to listen to their stories of success and to encourage them to ‘take the next step’. A native Texan through and through, Jo did not get interested in flying until after she married. She then bought her own plane, and she and her husband spent most week-ends on fly-ins at air fields all over Texas. She was accepted into the WASP flying training program as a member of the fifth class. After graduation, Jo was assigned to the Ferrying Division at Romulus, Army Air Base, Michigan. She completed pursuit school and then ferried 15 different types of military aircraft, among which were the P-51, P-63, P-39, P-40 and P-47, After the WASP, she returned to her own successful baking business. She was an avid golfer and bowler--and won the Dallas Singles Bowling Championship as well as other tournaments in both sports. One of Jo’s fondest remembrances of her WASP training days takes her back to Avenger Field to the day she was selected as the pilot of a UC-78 for a Hollywood film crew who wanted to go up and ‘shoot’ film of Avenger Field so they could feature it in their news film. The pretty young girl pilot in an old ‘Movietone News Reel’, featuring the ‘Girl Pilots at Avenger Field’—is none other than Jo Wheelis! Rita was born in Boston. When she was a Junior at Emmanuel College, she read an article in the newspaper about a Government Civilian Pilot Training program at Northeast University to teach students to fly. She applied and was selected as the one girl who was allowed in a class of ten. The summer following her graduation from college, Rita was accepted into the Army Air Forces flying training program as a member of class 44-3. When she graduated, she was assigned to Craig Army Air Field in Selma Alabama, which was an advanced flight training base. There she flew as an AT-6 engineering test pilot, slow timed aircraft and was an administrative pilot. While stationed at Aloe, she met a very special aviation cadet, who became both an Army Air Force pilot, her husband, and the father of their eight children. Anna was born in Little Rock and raised in Jena, LA. She learned to fly while studying airport management at LSU. She fell in love with flying and hitchhiked from the campus to the airport so that she could earn more hours, finally logging the 35 hours required to enter WASP training. She applied for and was accepted into the women’s flying training program. In August of 1943, Anna arrived in hot, dusty, Sweetwater, Texas, to report for training as a member of class of 44-1. Anna and her class were the first WASP class to graduate wearing the Santiago Blue uniform, which had been designed for the WASP by Bergdorf Goodman and fitted by Neiman Marcus in Dallas. In their honor, the other classes composed special songs for the ceremony, creating a new tradition at Avenger Field. After earning her silver wings on Feb. 11, 1944, Anna was assigned to Childress Army Air Field, a Bombardier School, in Childress, Texas. Here, she flew the AT-11, flying to a fixed altitude, and turning over the aircraft to the bombardier cadets for the ‘simulated bomb runs’ as they practiced for combat. Later, she was transferred to Eagle Pass Advanced Gunnery School helping train gunnery cadets. 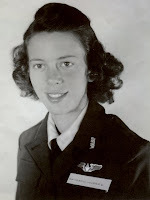 After the WASP were disbanded, Ann worked as an instrument instructor in Corpus Christi, eventually marrying one of her students. Born in Indianapolis, Indiana, Betty came from a very conventional family, with a father who expected his daughter to follow the normal expectations of a young woman of the time. However, from the time she was 7 years old, when Lindberg landed in Paris, Betty was fascinated with flying. She attended college and majored in home economics, as expected, and taught for 1 year, as expected. But as soon as that year was up, she headed out to the airport with her saved up dollars and learned to fly. Betty entered WASP training from Indianapolis, Indiana. Hers was the last WASP class to enter training. After graduation, she was assigned to Aloe Army Air Field, 77th Gunnery Squadron, Victoria, Texas. In the final days of the WASP program, Betty was able to fly AT-6 for only a short time until the the WASP program was deactivated, December 20, 1944. After the WASP were disbanded Betty found a wonderful career as a secretary-- and met and married a pilot. They both earned their instructors ratings and stayed in aviation until they started raising their family.